A Windsor resident was sentenced in Bridgeport to five years of probation for defrauding the state’s Medicaid program. Aetna, which is being acquired by CVS Health Inc., is reporting that it swung to a first-quarter profit. A commercial building in East Hartford has sold for $1.575 million. Top Democratic leaders of the House of Representatives are throwing their support to a $10 surcharge on Connecticut homeowner policies to help residents with foundations crumbling because of an iron sulfide. Legislation creating a paid family and medical leave insurance program in Connecticut has narrowly cleared a key vote. Savings Institute Bank & Trust recently welcomed Mary Conti as life insurance and annuity program manager. A Connecticut woman has been found guilty of abusing disabled patients. Health care organization Ascension has signed a letter of intent to sell St. Vincent’s Medical Center to Hartford Healthcare. The Greenwich-based specialty finance company CNH Finance last week announced the expansion of its national commercial health care lending capabilities with the acquisition of Portland, Oregon-based Triumph Healthcare Finance, a division of TBK Bank, SSB, which is a subsidiary of Triumph Bancorp Inc.
Comptroller Kevin Lembo recently released a letter to CVS Health – the state’s pharmacy benefit manager (PBM) – that questions whether the company’s financial interests motivate decisions to include certain pharmaceuticals on its approved drug list over the interests of those patients covered by the state health plan. Connecticut is considering imposing a state review whenever prescription drug prices rise beyond a certain threshold. Hartford HealthCare and Tufts Health Plan announced yesterday the creation of a new health plan through the formation of a joint venture, CarePartners of Connecticut Inc. This is the first collaboration of its kind in Connecticut. 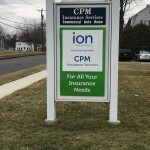 Ion Insurance Corp. has acquired an independent Cheshire insurance agency in a transaction that will nearly double its size. Ion Insurance Corp., a full-service independent insurance brokerage affiliated with Ion Bank, has hired Lisa SanAngelo as vice president and COO. A man from Richton Park, Illinois, was charged with six counts of wire fraud and one count of aggravated identity theft stemming from a scheme to defraud state unemployment insurance programs in Connecticut and several other states. Connecticut officials are transferring health care services for prison inmates from UConn Health to the Correction Department amid concerns over prisoner deaths and other problems. The Connecticut Insurance Department recovered nearly $7 million for policyholders and taxpayers in 2017 by helping individuals, families and employers with their claims and complaints.